When trying to determine your credit score all the verbiage and terms can be confusing. It can be tough trying to figure out exactly what you need to focus on when trying to improve your score. All you need to know is what makes up your credit score and what has the biggest impact on it. Here are a few categories to pay the most attention to when analyzing your credit. These are the things you’ll need to work on when trying to improve or maintain your credit score. Your payment history makes up over 35% of your total credit score. This is influenced by your ability to pay your bills on time and avoid late payments. Credit companies view your past loan payment history as a prediction for your future loan payment reliability. This helps them determine if you are able to handle the amount of credit you have and can raise or lower your score respectively. You can get a different impact from the size of your loan as well. While missing a payment on a small loan may not have a huge effect, missing a payment on a large loan such as a student loan or mortgage can have a large impact. Also, any bankruptcies could impact you here as well. You can raise your score significantly by paying your bills on time. This shows you are capable of being consistent and lenders are more likely to want to do business with someone who pays them on time. The next category that makes up 30% of your credit score is the total amount of debt you owe. This can be the total amount of debt across every account you have open at the moment. Creditors go by how often you max out your credit cards and how long you owe that amount. 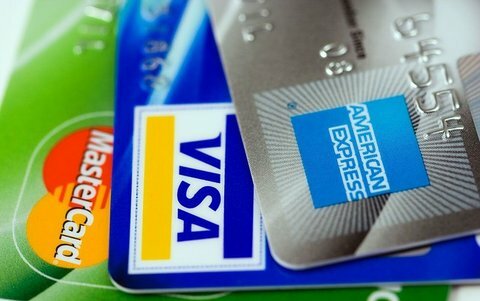 You should always maintain low credit card balances. It’s best to keep your amounts under 30% of your total limit to avoid becoming labeled as a person who can’t handle their credit responsibly. This can keep your score up and competing with the best of them. The amount of time you’ve had credit makes up about 15% of your total score. The goal of credit is to have it as long as possible. The longer you have a credit line open the better it looks. This is why younger people who may not have done anything negative to their credit may not have the best scores. However, if you’ve had credit lines open for years but they’ve always been at the top of their limits then they are going to affect your score negatively. The longer you can maintain a consistent credit record the better it will look for you. When you constantly try to open new credit accounts you will appear suspicious to creditors. This can lead them to think you aren’t good at managing your money and you often have to turn to credit to solve your problems. This category makes up 20% of your score. It’s okay to open a new credit account if you absolutely need to. Make sure the new line of credit is a necessity and maintain it properly. You can do this by paying on time and keeping the balance below 30 percent of the limit at all times. Some creditors like a variety of different credit options when taking on a new customer. Having that variety in the different types of credit makes up half of this category. This can mean having credit cards, an auto loan, and a home loan. This shows that you are capable of paying off many kinds of debt and in turn reflects positively on your score. Having a good credit score is important when making any major purchases such as buying a car or a house. The typical range of a credit score is between 300 and 850. Its key to keep your score between a 661 and a 780. Anything below a 500 is considered bad and anything 781 to 850 is considered excellent. Its important that you keep an eye on your credit score and make sure that you keep up with credit scoring changes, and where it’s sitting at all times. You are entitled to a free credit report every year that you can check and make sure that your credit is still squeaky clean. This way you can catch any credit reporting issues that may have sneaked on there without your knowledge. This can help you avoid becoming a victim of fraud by staying on top of what’s happening with your score.